When was the first time you wore or saw the denim jacket? Well, to my memory, the first time I saw a denim jacket was on Jai-Veeru, those best friends from the movie sholay, does anyone remember the song “ye dosti hum nhi todenge”, wow, what a song and what an amazing movie? 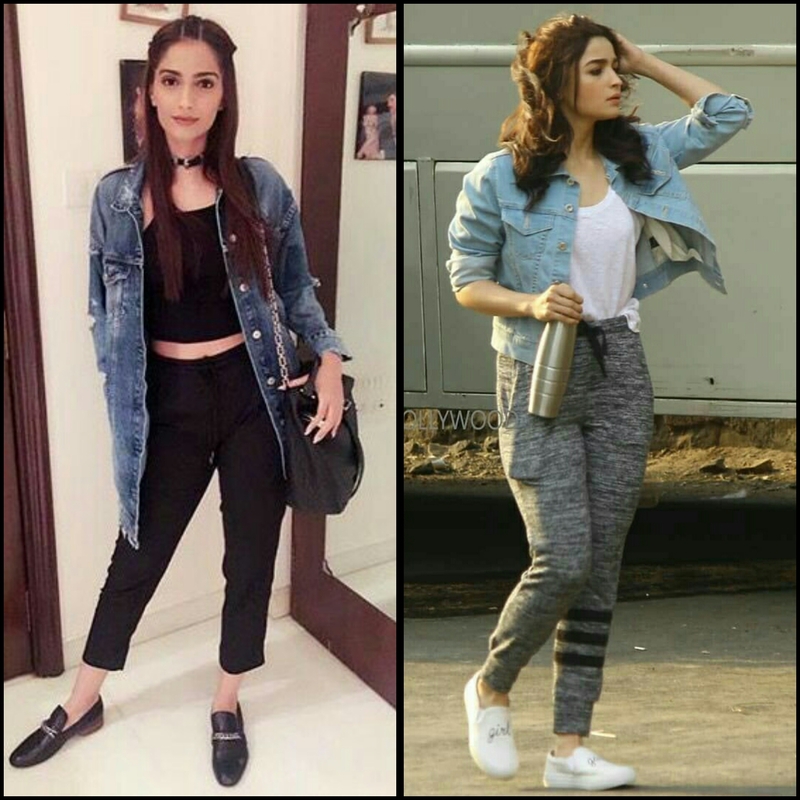 I still remember how dashing Dharam paaji and Mr. Big B looked in the song wearing their denim jackets, that movie came in the year 1975 but denim jacket is still so novel, it hasn’t actually gone out of fashion, the moment we even think of giving up on our denim jacket, we witness some celebrity flaunting it like a pro, the love between us and our denim jacket is eternal. 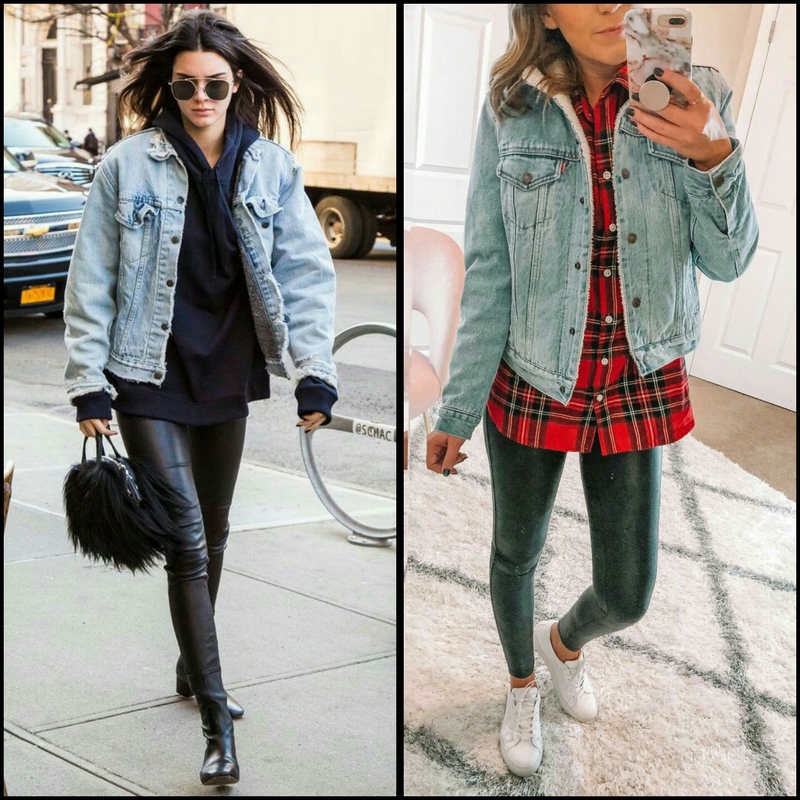 Like the fashion changes every minute, the denim jacket style has also evolved with every changing fashion, from a simple single hue jacket, it has evolved in so many different styles like, embroided, patch work, embellished, stone washed, lace, long, crop etc. With so many variants available it becomes difficult to choose the best from the best, one can buy many variants but one can also style one jacket in so many contrasting ways. 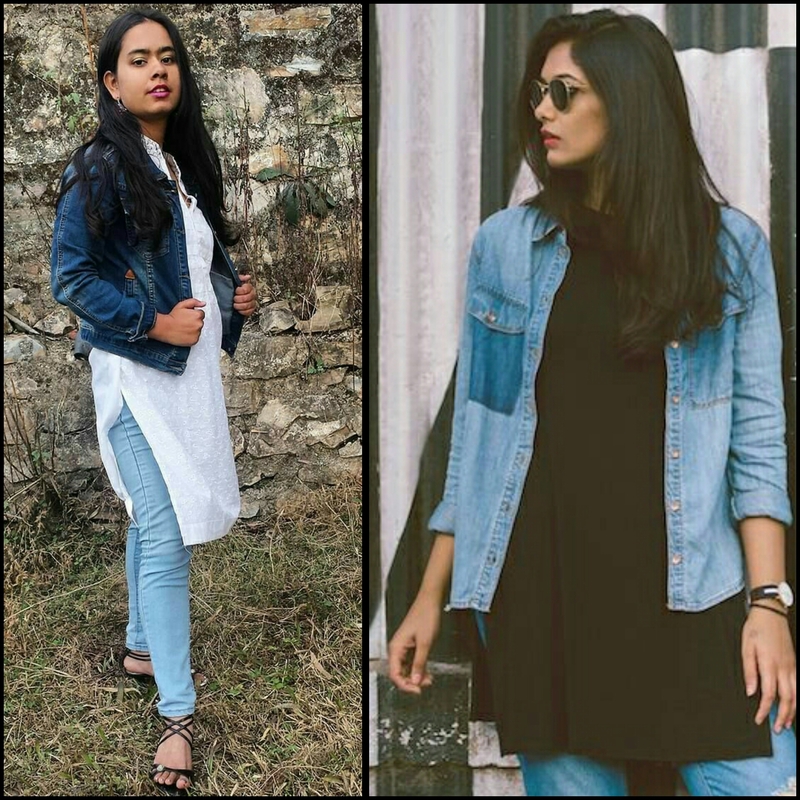 ● As the winter season is on its peak, let us style a denim jacket with the pair of leather jeggings and become sassy with a mix of classy and get your OOTD on point. 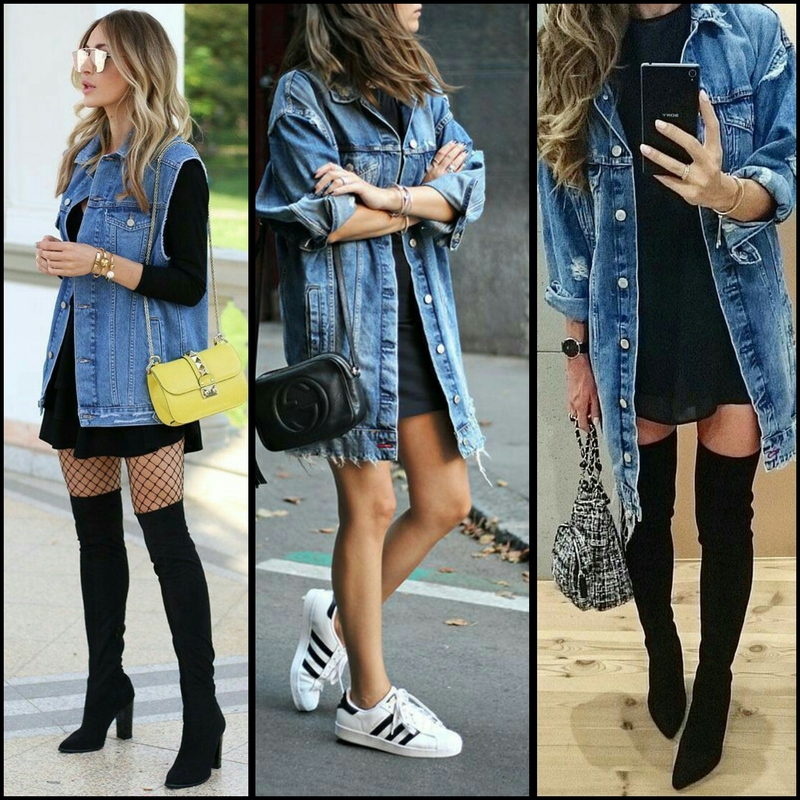 ● Another genre of denim jacket is the Walker or oversized one, which has become the talk of this season, it is taking place in everybody’s wardrobe like the boyfriend shirt and you can pair it up with the short sweater dresses or any kind of short or knee length dress. Pair them up with thigh high boots for adding more vogue to your outfit. 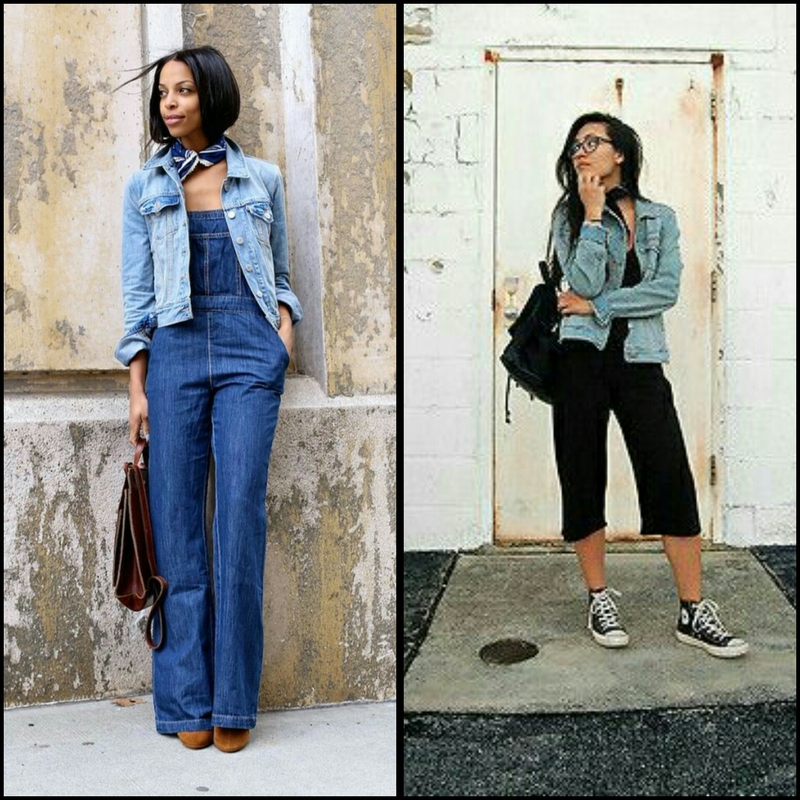 ● There are a lot of fashionistas who love wearing the jumpsuits or overalls whatever the season or occasion is, so there’s a cue for them too, you can pair a denim jacket with your overalls too. ● Not all the girls like to show off their skin and they feel more comfortable wearing maxi skirts and dresses, a denim jacket with a maxi dress look very feminine and elite. ● A white color dress is another favourite found in most of the fashionistas wardrobes and adorning a denim jacket over a white dress is a combination you must try for sure and slay. 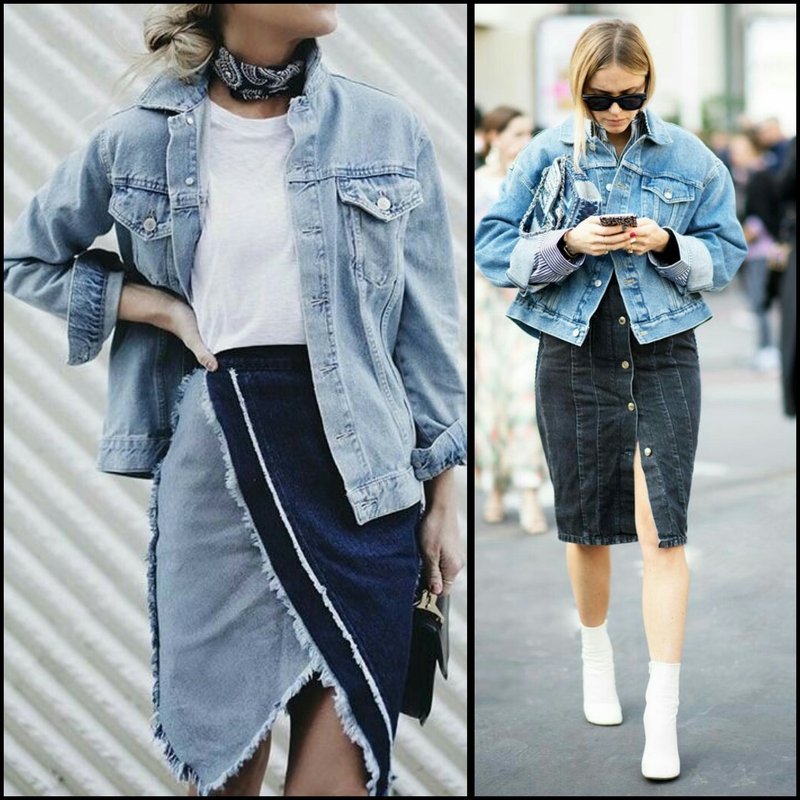 ● Denim jacket on denim skirt, this is one combination a lot of us get scared to try because nobody is very sure about it but worry not as metroholica gives a thumbs up to this style. 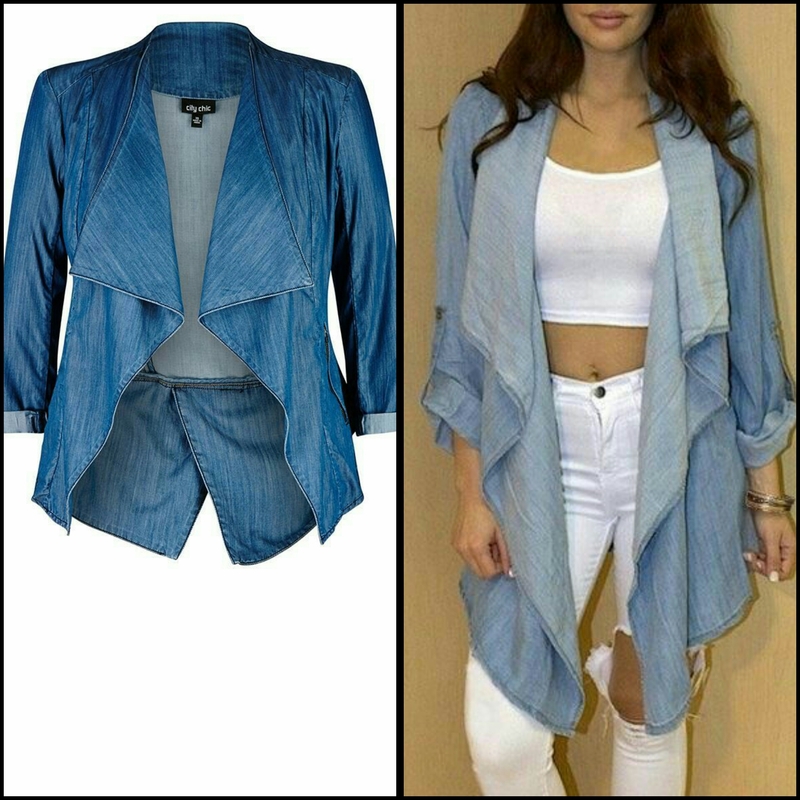 ● Shrugs have become a fundamental part of our wardrobes and they are not going anywhere for a long time, they are here to stay, shrugs are worn in summers and winters too, just a difference of fabric and style and waterfall is another favourite form of shrug and now we have a waterfall denim jacket or shrug too, one more reason of adding a denim jacket in your wardrobes. 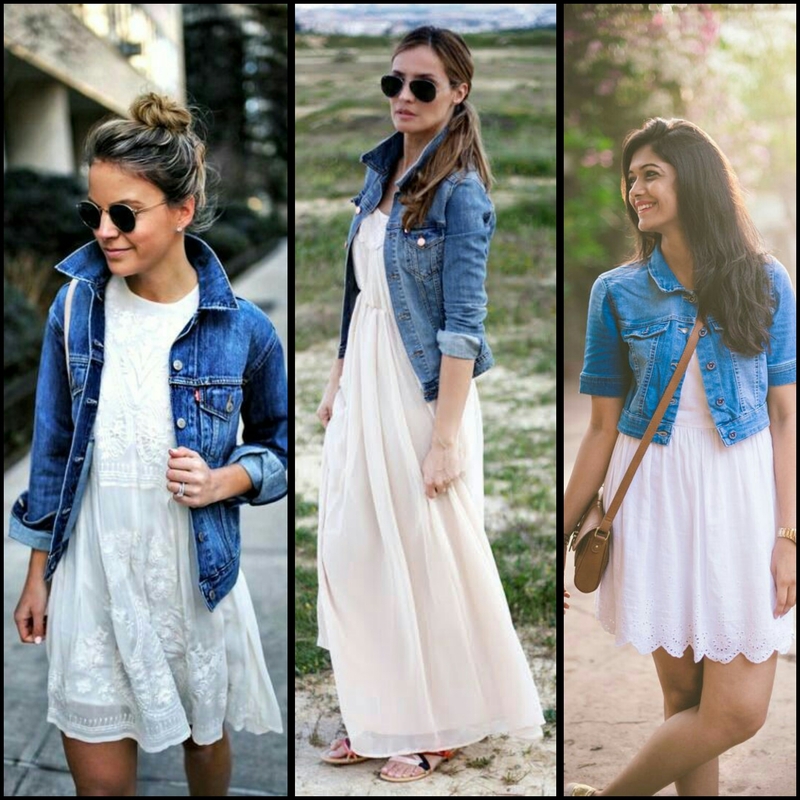 ● Adorning a denim jacket with kurtis is one more form of adding a modern look to your traditional avatar. Tip:- A quick way of making your old denim jacket new is buy patches and embellishments which can get stuck with fabric glue and just paste it on your jacket, first mark the places where you want your patches and embellishments with a pencil because there should always be a pattern of your design otherwise you will easily get caught by your friends. Your design should look more synchronized. Do you about a sand paper? You can get it from any hardware store, just rub it on the place where you want your jacket to have a stone washed look and voila! 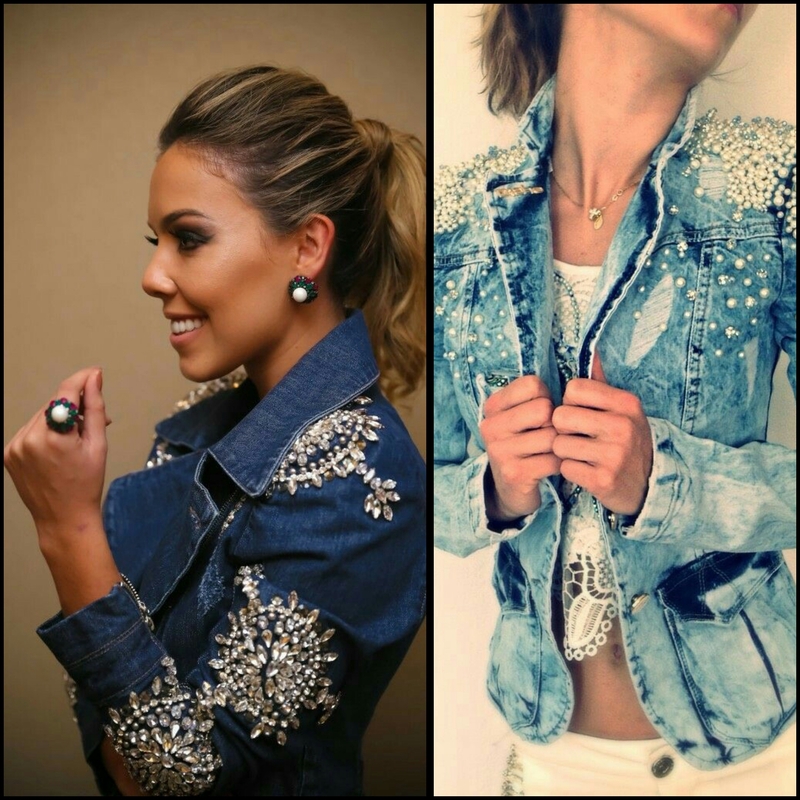 So, Metroholicas go on and try various forms of styling a denim jacket, the only key of trying a new style is just to be confident and comfortable wearing it….Be Fashionable….!! !